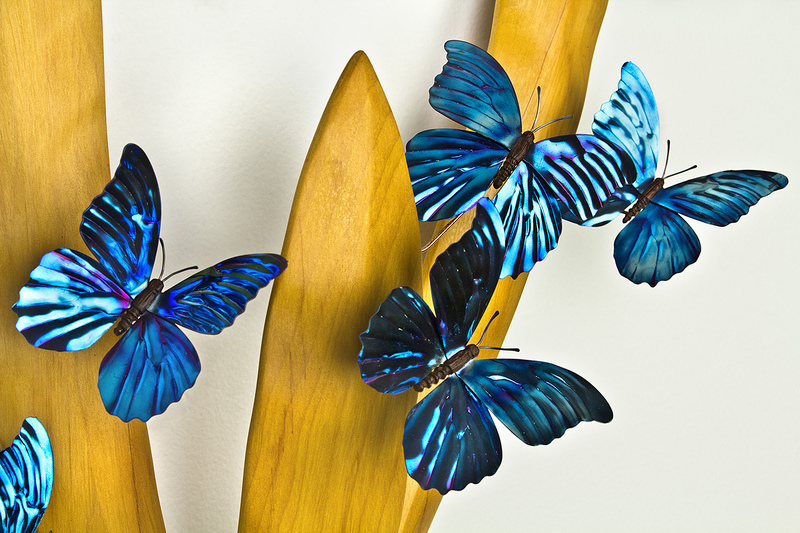 The blue morpho butterfly can be found in most of Central and South America. 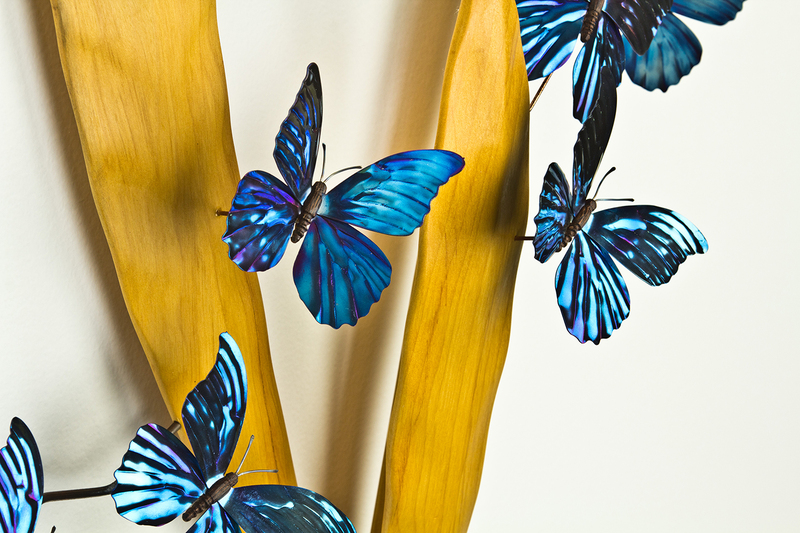 Their intense coloration makes them highly recognizable. 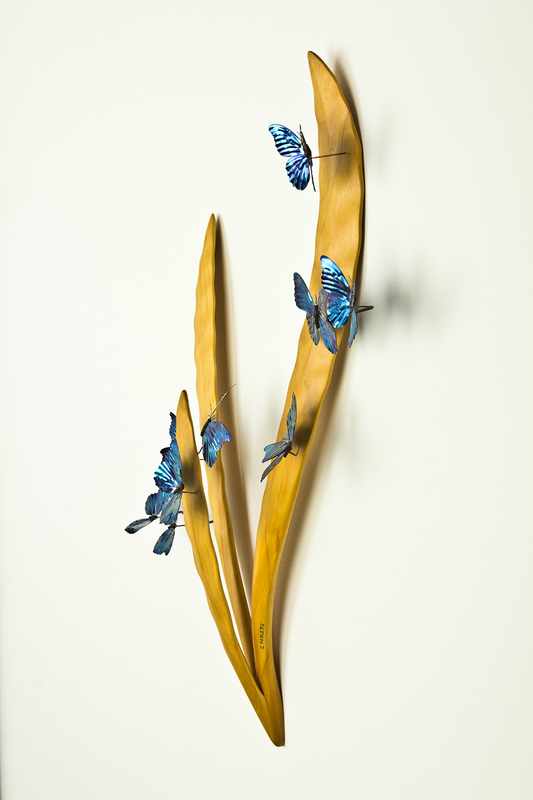 In Joy, each butterfly’s titanium wings are hammered to achieve the wing texture, after which they are heat tempered to achieve the vivid blue color. 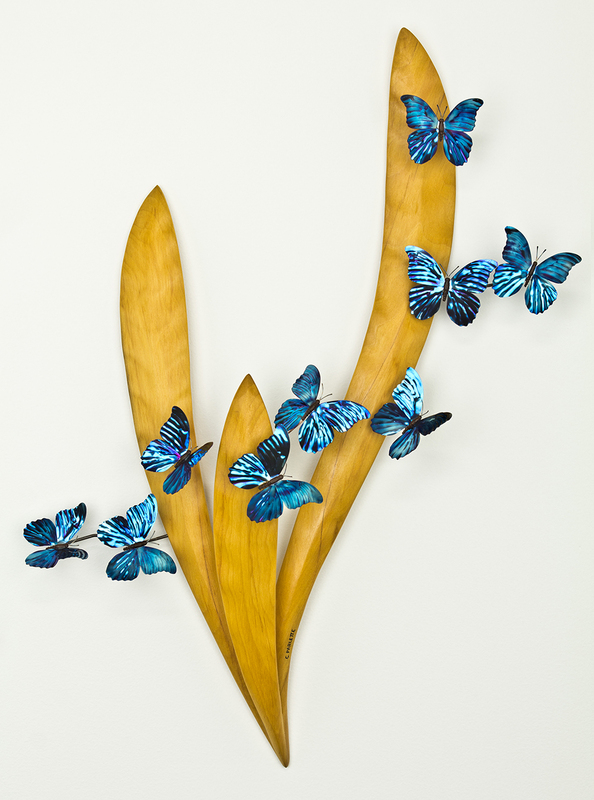 The butterflies are mounted to leaves carved out of quillo bordon wood from the Peruvian Amazon, which naturally has a bright yellow coloration. 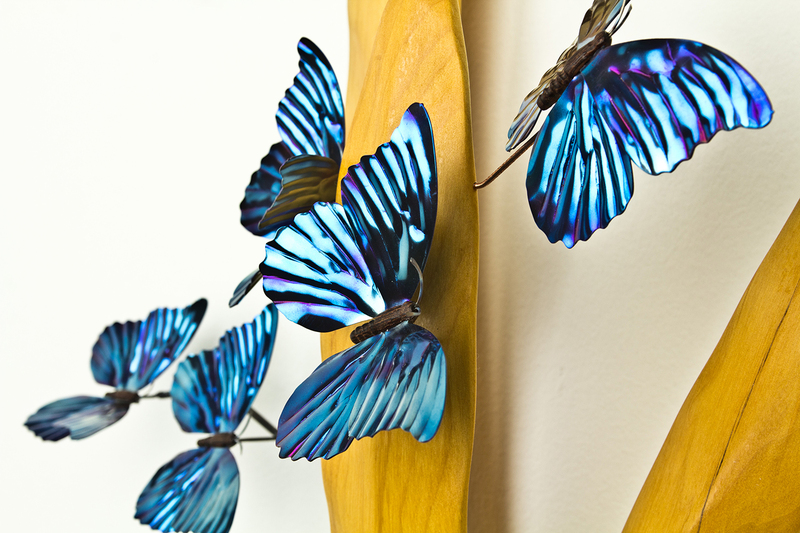 The blue of the titanium swarm changes hue depending on the light and time of day.